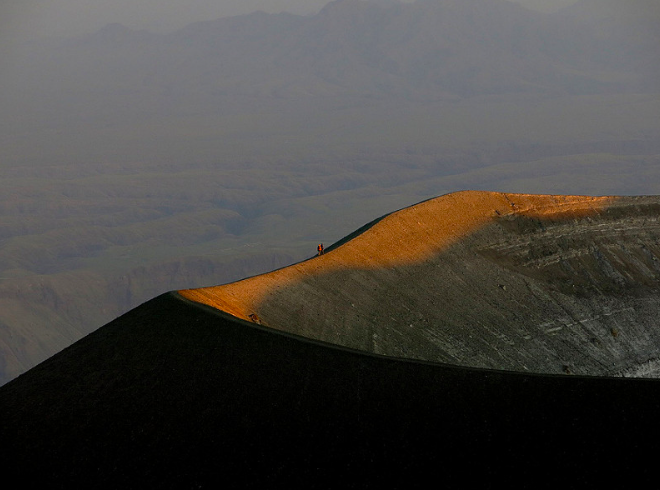 The 3000m tall “Mountain of God” is the only active Carbonatite volcano in the world. Lit by moonlight, it is an unforgettable and mystical experience. A overnight ascent starting around 12am. You walk up, over night, for 4 to 6 hours and then 4 to 5 hours down. This is a very challenging hike up an active carbonatite volcano with stunning views. Climbing up the only active volcano of its type in the world, spectacular, breathtaking views, sometimes being the only person on the mountain. Note that the conditions on Lengai can change daily. It must be understood that the guide’s decision to reach the summit section is based on daily conditions. Clients should be briefed that there is the possibility of not reaching the true summit. If that is the case please note refunds are not available! Please note that guests are required to wear climbing helmets at the final section near the summit. Please also note Ol Doinyo Lengai is a very challenging climb. *fees and guiding fees payable AT VILLAGE OFFICE $100 per person 1 pax and $160 per 2 pax – please check at time of booking. Transfers with our vehicle ARE NOT included but can be provided with advance notice at $250 per vehicle.